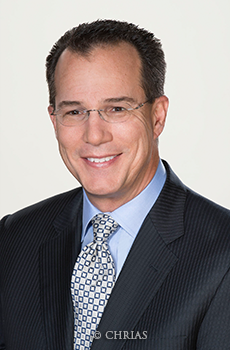 ﻿ Meet Dr. Michael Peters Jr.
Michael Peters Jr., MD, FACS, FASMBS is a board certified general surgeon with fellowship training in advanced laparoscopic surgery and bariatric surgery. He is the Medical Director of Bariatric Surgery for Christiana Care Health System and the President of the Delaware State Chapter of American Society for Metabolic and Bariatric Surgery from 2015-present. Dr. Peters is also a Clinical Assistant Professor of Surgery at Thomas Jefferson University. Dr. Peters was born in Milwaukee, Wisconsin and received his medical degree from Thomas Jefferson Medical College in 1998. He then completed his general surgery training at the Pinnacle Health Hospitals in Harrisburg, Pennsylvania in 2003. He completed a clinical and research fellowship in advanced laparoscopy and bariatric surgery at the Michael DeBakey Surgery Center of Excellence at the Baylor College of Medicine in Houston, Texas in 2004 and joined the Christiana Institute of Advanced Surgery on completion of his fellowship. Dr. Peters has authored several publications and academic presentations that he has presented regionally and nationally. He is actively involved as member to numerous national societies and committees including the American Society of Metabolic and Bariatric Surgeon (SAGES) and the Minimally Invasive Surgery Center of Excellence Committee. Dr. Peters was the first surgeon in the state of Delaware to perform a sleeve gastrectomy procedure for weight loss. He has lived in Delaware over 40 years and currently resides in Avondale, Pennsylvania with his wife and two children. Along with his partners, Dr. Peters is committed to providing excellent surgical care and a comprehensive surgical weight loss program in a caring, compassionate environment. Did you visit us recently? Share your story.